ROSEMARY: Rosemary is one of the world&apos;s most popular medicinal plants, and for good reason. It is useful in numerous applications ranging from stimulating hair growth to staving off infections. Rosemary essential oil has a crisp fragrance that appeals to nearly everyone, and its uses are almost limitless. We source the highest quality therapeutic grade essential oils that we can find. Some oils are organic, and all essential oils are packaged in cobalt blue glass (10) ml bottles with euro type droppers. Each bottle has a tamper proof cap with a rectangular label attached. Rosemary is one of the world&apos;s most popular medicinal plants, and for good reason. It is useful in numerous applications ranging from stimulating hair growth to staving off infections. 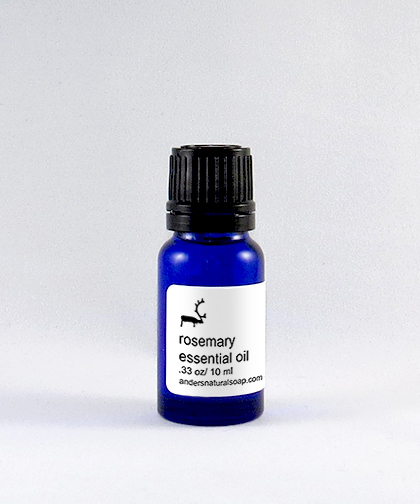 Rosemary essential oil has a crisp fragrance that appeals to nearly everyone, and its uses are almost limitless.